A technical document covering all aspects of PB-1 piping capabilities and installation. PBPSA Member Nueva Terrain is pleased to announce the release of its latest Technical Manual for Polybutene Piping Systems. In this comprehensive 140 page technical document readers can find most necessary information required to understand, calculate and execute plumbing, chilled water and heating installations with PB-1 piping systems. The Nueva Terrain PB-1 Technical Manual is an indispensable planning tool which covers all technical aspects of the product range and the correct preparation and installation of PB-1 piping systems using the Nueva Terrain range of PB-1 products. 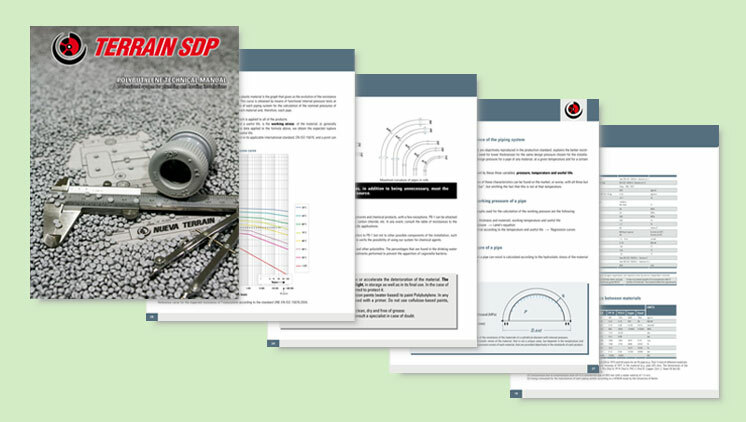 The purpose of this technical manual is to provide an objective and scientific justification of the technical characteristics of the SDP Terrain Polybutylene piping systems for hot and cold water supply, as well as their use in these installations. The different qualities and advantages of plastic piping compared to metal systems are widely known and accepted. However, the characteristics and in-use benefits of Polybutene Piping Systems are quite different and offer a broad list of expanded capabilities versus other materials. The key objective is to fully and concisely describe both the material, the system, the capabilities, installation recommendations and the applicable legislation and standards. Nueva Terrain is a leading manufacturer and marketer of piping systems, plumbing and accessories with its headquarters, R&D and manufacturing facilities all located in Spain (Vitoria, Tordesillas and Andujar). The company offers comprehensive piping systems in both PB-1 and PVC for markets worldwide developed with the latest technology and through close collaboration with customers and statutory authorities. The experience of the company, a presence in the market since the 1960s, is enhanced by in-house tool manufacturing and broad-based technical services ensuring high product quality and technical support for customers. Much of the information contained in this manual is as a result of customer collaboration and actual on-site experience over the last 50 years.